"It hadn't mattered to me in the beginning that our relationship had started with lies. When guilt crept in, I pushed it back out with the truth. All relationships are built with lies, some big, some small." "Success does not always hinge on telling the truth. Success just might hinge on figuring out what people want you to say. And saying that instead." This is the perfect book to read in our tumultuous political times. It has politicians, political deals, money from PACs and lots of lies that often time makes it difficult to learn the real truth. Jude Birch is a political newcomer when he decides to run for Congress in the DC district. His wife, Aby, is excited about his political potential but worried that the truth about her background may come out before she has a chance to admit to him that much of her story has been based on lies. Before she can tell him, he is shot in the head and almost dies. As he is recovering, his brain changes to the point where he cannot tell a lie which as we all know and Aby is aware that it's a 'hell of a problem for a politician' to only be able to tell the truth. As Jude heals, Aby begins to question the real reason for his shooting - was it a random act of violence or something more sinister. What lies were Jude keeping from her about this past and relationship with his campaign manager? The tension is at a high level throughout this book and will keep the reader turning pages to see how it all ends. 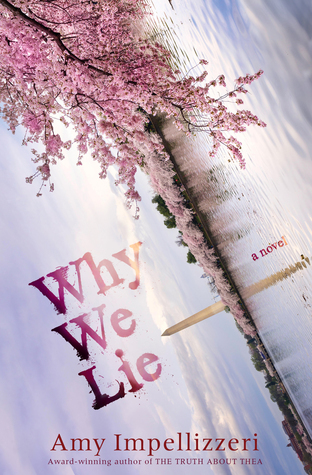 Unpredictable and unexpected, WHY WE LIE is a contemporary political thriller that examines the real-life consequences of those who tell the truth about abuse and those who don't, and asks the question: is the truth always worth the cost? I loved the character of Aby. Her story slowly comes to light and even though she lied when it was convenient, she was a good person --- or was she? I also like the DC setting and reading about some of what goes on behind the closed doors of a political campaign. "If there is not hope, then what is there to save us?" 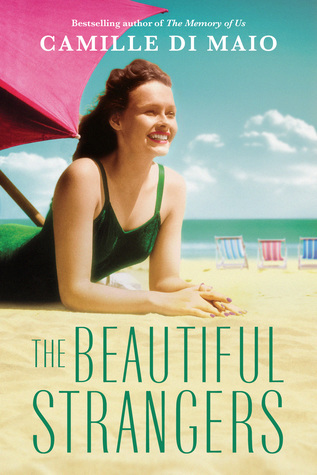 The Beautiful Strangers is another wonderful novel from Camille DiMaio. It's told in two timelines - Kate in 1892 and another Kate in 1958. It takes place at the Hotel Del Coronado in beautiful southern California. There appears to be no connection between the two Kates except for their names but as their lives intertwine - despite living years apart - the courage that they both possessed comes to light. The year is 1958 and Kate, who waitresses at her uncle's restaurant in northern California, wants to see more of the world. Her grandfather, who is suffering from dementia, tells her during one of his lucid phases that she needs to go to LA and 'find the beautiful stranger". Kate loves the movies and when her grandfather finds a job opening working on a film set, he encourages her to apply for the job. When she arrives, she finds out that Some Like it Hot is filming at the Hotel Del Coronado and when she gets a job, she meets Jack Lemon and Marilyn Monroe along with the rest of the cast. It's a dream come true for Kate plus there is a nice young man at the hotel that she begins to fall in love with. When she starts asking questions about 'the beautiful stranger' she finds out that she was a ghost who had the same name she did. Was there a connection between the two of them? Why was the ghost still haunting the hotel and why did her grandfather know about the ghost? 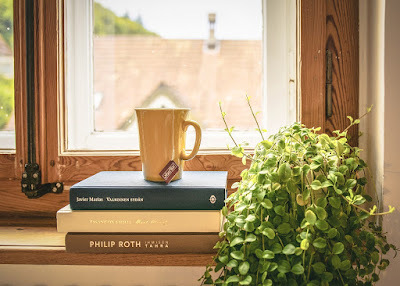 The connection with the Kate in 1892, made this story all the more interesting and we get chapters told from 1892 and about the dilemma that is going on in Kate's life. Camille Di Maio has once again brought us a story that is rich in plot with wonderful characters. It's apparent that she did significant research about movie making in the mid-50s. She made the hotel and the location in California come alive with her wonderful descriptions. As the stories twist and turn, they become intertwined in a way that makes the story even more interesting. I have been a fan of all of Camille's writing and think this is her best book yet. 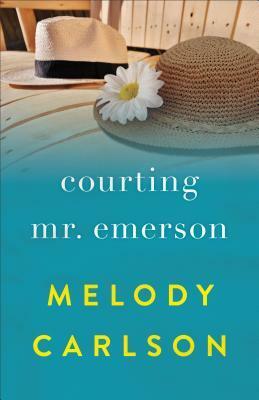 This was my first book by Melody Carlson and I found it to be a light easy read. I enjoyed the fact that the main characters were all in their late 50s as I get a bit tired of reading books about people in their 20s and 30s. George definitely has OCD. He lives alone and his life is very structured. He gets up at the same time every day and leaves the house to walk to his job as a teacher at the high school wearing a suit and tie every day. But now he's decided to retire and his life will lose much of its structure. He will no longer be on the same routine and is a bit nervous how he will live his life. On top of the changes brought about by his retirement, he meets Willow, the grandmother of one of his students who is the complete opposite of him - a free-spirited hippie who runs an art gallery. Despite their differences, he is attracted to her but not sure if he wants to change his rigid life to a much freer one. Will he be able to change or will Willow accept him as he is or reject him completely? This beautifully written new book is a modern telling of the story of Ruth. It's full of sadness and despair over the loss of loved ones and the journey towards finding love and fulfillment in life again. Ruth's husband and father in law have been killed while working overseas for a relief organization and she travels to Wisconsin with her young daughters and mother-in-law Mabel to bury her husband. She hopes that living in Mabel's Mennonite community will help her get over the loss and decide what to do with her life. She is the only person who realizes that her marriage hadn't been perfect because her husband put the needs of the relief agency over the needs of his wife and small daughters which makes her experience anger along with her feelings of loss. Ruth and her daughters stay at her husband's cousins house. Elam is a quiet man who lives alone and having Ruth and her daughters move in is a very major change for him. As the friendship between Ruth and Elam grows into a possible romance, she finds out that she has some very difficult decisions to make about how she is going to live the rest of her life. 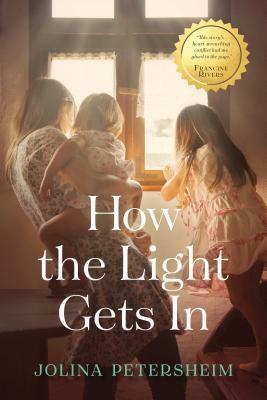 This is a beautifully written book about loss and grief; hope and learning to love again; family and faith. It's my first book by this author but won't be my last. 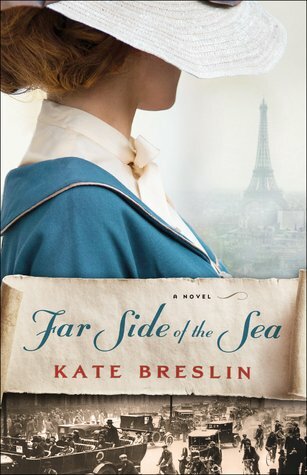 Kate Breslin has written another epic love story set during WWI. It takes place in England, France and Spain as the war is going on. When the main character is stationed in England, he can hear the German guns blowing up buildings in France and when he gets to Paris, he sees the devastation for himself. The year is 1918 and Lieutenant Colin Mabry, a British soldier working with MI8 after suffering injuries on the front, receives a message by carrier pigeon. It is from Jewel, the woman who saved his life in France. She needed help and she knew that she could trust him. He had believed that she was dead so was anxious to go to Paris as requested to help her out. Not only had she saved his life but they developed feelings for each other while she was hiding him from the enemy. He was upset when he got to Paris and the person who met him was not Jewel but instead her sister Johanna. She had found Jewel's diary in the wreckage of her house and after reading about Colin in the diary, she knew that he would help her find her sister and their father. She had knowledge that her sister was being held captive by a German soldier and needed help to escape. As their search starts out, they are surrounded by spies from both sides and have no idea who to trust and who could harm them. As they travel from France to Spain, they get even further into a deadly case of espionage that could cause their deaths and they realize that they can only trust each other. This book has it all -- a sweeping view of WWI and its effects on France, the beauty of Spain, spies and counterspies but most importantly it has love and the firm belief that God will help the couple survive and be successful in their quest. I really enjoyed this novel and hope to see these characters again in a future novel by Kate Breslin. Have you entered the JORD Watches sponsored giveaway?